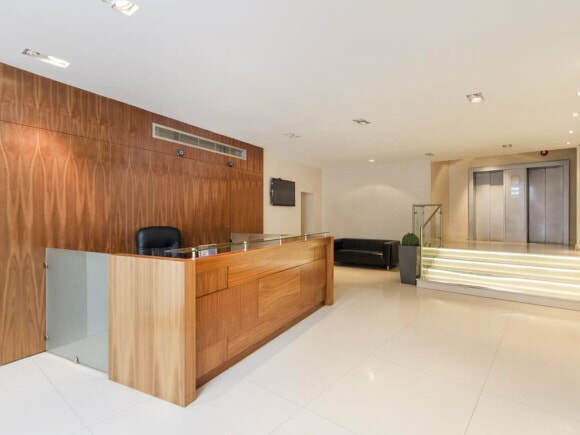 This modern building near Edgware Road has a welcoming reception that is fully staffed and meeting/board rooms available to hire on an hourly basis or daily. The interior of the business centre is re-fitted to a good standard and serviced offices are equipped with IT infrastructure as well as office furniture. Within the property there are a range of amenities and services including catering, IT support and kitchenettes. Located in the W1 region of London, this office space is available in a selection of sizes and layouts suitable for all sized companies. Transport links are excellent and convenient for Marylebone and Paddington mainline train stations.